There is no dessert easier than the mug cake. A handful of ingredients are beat together, thrown in a mug, and microwaved for a couple of minutes - it's truly an instant dessert. 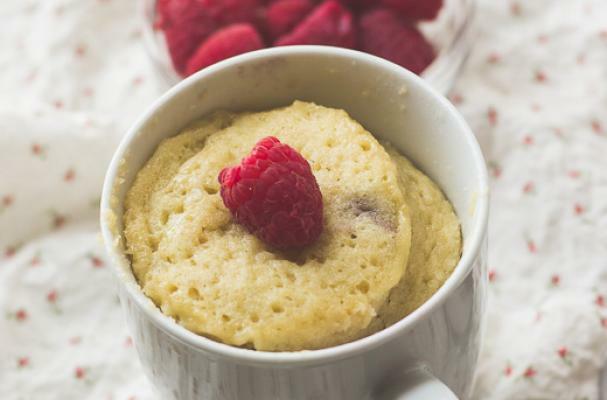 Gluten-free eaters no longer have to feel out of the loop as more and more wheatless versions of the mug cake are popping up all over and these three recipes are a few of our favorites. This gluten-free banana cake is a soft and buttery dessert that you'll want to make all the time. Just like with banana bread, day old brown bananas are best for this recipe because they have a higher sugar content and more intense banana flavor. A sprinkling of chocolate chips make this cake a little more special (you can also add a tablespoon or two of chopped walnuts too). 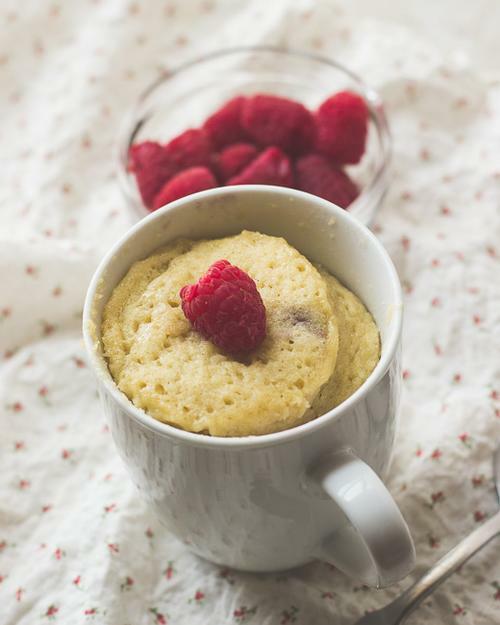 Savor the last of summer's berries by making this gluten-free raspberry almond mug cake. This nutty, honey sweetened, fruity dessert is ready to eat after just two minutes in the microwave. If you are partial to another berry, feel free to substitute with blackberries, blueberries, or even strawberries. I like to serve mine with a sprinkling of toasted almond slivers to round out the cake and add some crunch. Ooey gooey gluten-free chocolate cake is heaven in a glass. This dessert is closer to fudge than it is to cake. In addition to being gluten-free, this chocolate mug cake is also dairy-free and vegan. Even though it's missing traditional baking ingredients, it's still decadent and delicious. Serve this cake with a dollop of whipped cream or coconut cream.